Sure - premieres are Mondays and broadcast times are 12:30a, 3:00a, 7:30a, 5:30p and 9:00p. In addition, the episodes will be available on the Disney XD App starting at 12:01am. 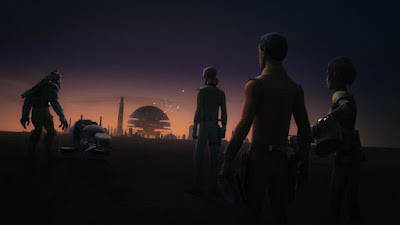 Star Wars Rebels season four kicks off October 16th with the two part premiere "Heroes of Mandalore"
Wow, Lucasfilm is being nice, considering how many breaks they took during season 3, and that has done permanent damage to my old live for Lucasfilm. Lucasfilm is being nice, considering how many unnecessary breaks they took during season 3. Because of those breaks, I no longer like Lucasfilm. I've never liked Disney, and I hate them even more now.